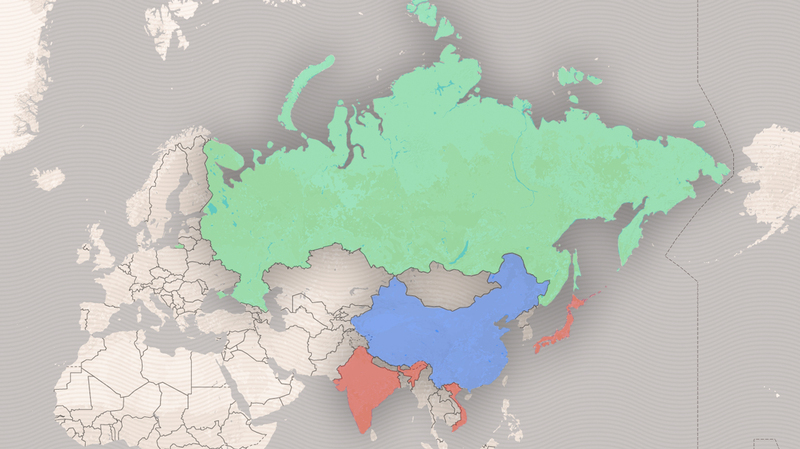 Russia’s “Pivot to Asia” could more accurately be described as a rebalancing in every sense of the word. Not only is Moscow seeking to finally diversify its formerly Western-centric partnerships, but it’s also doing so with the intent of contributing to a more reliable Balance of Power in Asia. Russian outreaches to Japan, Vietnam, and India hold particular importance for China in the context of the Multipolar World Order and the Russian-Chinese Strategic Partnership. Each of these three aforementioned states is at serious loggerheads with China, but it’s precisely because of their respective problems with Beijing that Moscow stands to gain the most through its enhanced relations with them and correspondingly supplement the strategic position of its Chinese ally. The “good cop, bad cop” dynamic of the Russian-Chinese Strategic Partnership is such that each side can help the other in regions where their ally is under serious American-orchestrated pressure. China, for example, can initiative investment and infrastructure partnerships in Central and Eastern Europe that Russia would never be able to carry out in states with entrenched Russophobic histories like Poland, while Russia can likewise develop a degree of trust among the antagonistic Asian states along China’s periphery that is impossible for Beijing to achieve under the current US-manufactured international conditions. While some pundit-provocateurs had hitherto asserted that Russia is nothing more than a “resource appendage of China”, an objective overview of Moscow’s value to Beijing proves that the partnership is much deeper than simple New Silk Road connectivity to Europe and is an irreplaceable component of Chinese grand strategy in Asia. The research study will proceed by discussing Russia’s recent diplomatic inroads with Japan, Vietnam, and India, explaining their saliency in the larger framework of Russian-Chinese relations and the emerging Multipolar World Order. It’ll be revealed that while each of these states is hostile to China in their own way and have allied with the US to varying degrees, the possibility exists for Russia to exert a pragmatically calming influence over them that reins in their otherwise aggressive temperaments and prevents the needless American-supported escalation of their rivalries. The unmistakable pattern that can be seen in this paradigm is that Russia has finally moved away from its traditional Heartland position in Eurasia and is now for the first time in its history becoming a major balancing power in the Rimland periphery. Russia’s ties with Japan have experienced an upsurge since the beginning of the year after Prime Minister Abe broke ranks with his G7 partners and visited President Putin in Sochi last May. The two sides discussed trade, investment, and the Kuril Islands dispute, and while no concrete agreement came out of the meeting, the very fact that it even occurred in the first place is a significant development which shouldn’t dismissed. The author predicted a breakthrough in bilateral relations between Moscow and Tokyo in a wide-ranging 2016 forecast published on The Saker around the beginning of the year, but this view wasn’t shared among the analytical community at large. Nevertheless, it turns out to have been uncannily accurate, and the new reality is that Russian-Japanese ties are moving forward at what many would have ordinarily thought is the most unlikely of times for it to happen. The stumbling block to their further expansion is obviously the Kuril Islands dispute, but it’s here where Russia is in a position to propose a unique settlement that could end the disagreement once and for all in a mutually acceptable win-win format. It’s commonly known that Russia is in need of international (mostly Asian-sourced) development in the resource-rich and geostrategic Far East region, but as any businessman with even a touch of professional knowledge will suggest, it’s always best to diversify investors so as not to remain dependent on a sole source of support. In line with this, while Russia plainly sees the advantage in inviting Chinese investment into this part of the country, it also has an interest in encouraging South Korean and Japanese capital as well. The nature of Russia’s planned Far Eastern development has nothing to do with foreign-sourced military support (unlike India and Vietnam’s strategies vis-à-vis the US), so there’s nothing for Beijing to fear from a possible influx of rival capital into the area. Actually, a friendly competition between the three Northeast Asian powers for developing the Far East would be in everyone’s best interests, since the market dynamics that this would produce could cut the costs for everybody and inspire innovative ideas that work out to their collective benefit . The melting of the Arctic ice sheets is opening up the Northern Sea Route between the East Asian and Western European marketplaces, thus allowing for a shorter and more commercial viable trade route between two of the world’s largest economies. Unfortunately, the narrow Bering Strait between Russia and the US stands to indefinitely remain a geostrategic chokepoint for as long as the New Cold War is in session, and with the global Hybrid War between the unipolar and multipolar worlds showing no sign of abating anytime soon, it’s in the Asian economies’ interests to spearhead alternative routes to the Arctic in the event that the Bering Strait becomes impassible (just like its similarly strategic Hormuz and Malacca counterparts elsewhere in the world might one day become in times of crisis). One of the alternative possibilities that exists is for the construction of a railroad from Russia’s “Window to the East” in Vladivostok northwards to the Arctic Sea port of Tiksi by means of the energy- and mineral-wealthy Sakha Republic. While previously a conceptual fantasy for infrastructure planners, it’s now technically possible to build such a route due to China’s development of a high-speed train that can operate in extremely cold environments. This opens up a range of previously impossible infrastructure projects that could help the Northeast Asian economies build alternative mainland trade routes to the Arctic and thus avoid the Bering Strait bottleneck. Moreover, the geographic paths that these could predictably take would cut right through some of Russia’s richest resource areas along the way, thereby allowing entrepreneurs the possibility to trade these profitable products with Europe once they finally reach that marketplace. There’s of course always the chance that regional investors would opt instead for the more traditional Trans-Siberian Railroad in facilitating East-West trade, but with time, some of them will inevitably see the commercial benefit in transiting through the northern taiga and connecting to the newly charted Arctic trade routes. 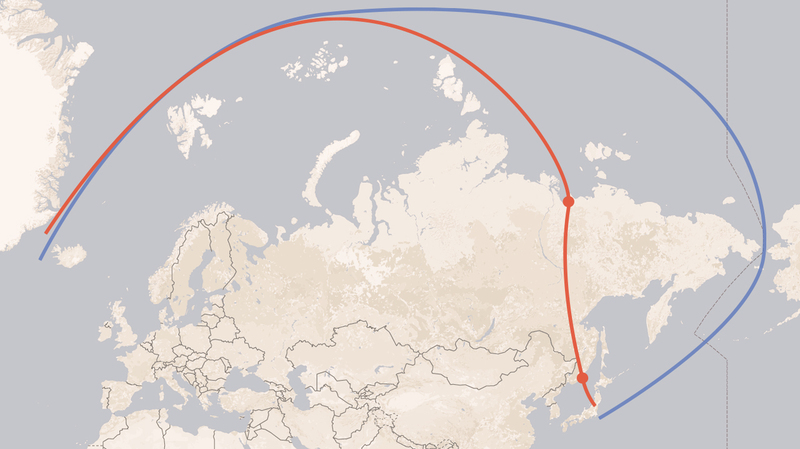 From the Japanese perspective, it might be more convenient and less costly (in both monetary and strategic terms) for products to ferry between the Home Islands and Vladivostok and then en route by rail to Tiksi than to sail all the way around them and Cape Dezhnev in reaching the Arctic. The same logic would hold true for South Korea and China, too, which might push them into a ‘race to the bottom’ in bidding with Russia to develop this route in the most affordable manner, perhaps even all together in some capacity or another. Japan is firmly entrenched in the Western camp and is presently under heavy American occupation, but the country also realizes that in this day and age, pragmatic self-interested interconnectivity trumps political considerations from its patron, so it might be enticed by this idea even though the US would be dead-set against it. The greatest obstacle towards reaching any agreement isn’t American opposition to this idea, but the nationalist sentiment that the Abe government has almost uncontrollably stoked up since it’s been in power. Influential rabble-rousing elements of the Japanese public and elite might strongly object to any deal with Russia until the Kuril Islands dispute is resolved, and therein lays the unique opportunity for Russia to finally end this controversy in a creative manner for all the parties involved. Remembering how Russia’s chief interests in the Far East are sovereignty and development, just as much as Japan’s are transcontinental interconnectivity and bringing a respectable compromise to the Kuril controversy, it’s possible to interlink each of them so that both sides mutually benefit from their economic complementarities (Russia’s development imperative and Japan’s transcontinental interconnectivity one) while not ceding an inch when it comes to their principled positions (Russia’s sovereignty and Japan’s commitment to a respectable compromise). The most pragmatic solution that can be reached under these circumstances is one in which Moscow and Tokyo agree to a socio-economic condominium over the Northern Islands of Sakhlin, the entire Kuril chain, and Hokkaido. Neither state would surrender any degree of political rights to these territories, yet they’d allow their counterpart to have a high degree of socio-economic freedom within them through which they could more easily spread their culture and partake in investments. It’s more important for the Japanese to relive their historical memory of leadership in this region than to outright directly control it, hence why the proposal of allowing them broad social autonomy in spreading their language and culture will likely be appealing to them. Russia doesn’t stand to risk any strategic dangers from this because the overwhelming majority of the population are ethnic Russians and incapable of being weaponized through the dissemination of Japanese soft power. The same holds true for the Japanese in Hokkaido, who while receptive and interested in Russia, won’t turn into strategic assets of Moscow. While there might be a special visa-free policy implemented in regards to these three separate territories as a means of facilitating their interlinked socio-economic development (similar to what Kaliningrad and northeastern Poland have), there won’t be any legislative changes to migration policy, meaning that neither side would have to worry about an influx of the other’s population upsetting the demographic balance there and creating future challenges. What both sides would instead endeavor for is mutual trust and understanding between their two populations which would serve as a spark for catalyzing increased business engagement between them, which is ultimately what both sides are most eager to achieve for their own respective interests. The inclusion of Hokkaido into this framework is to give Japan an integral stake in this initiative’s success. Hokkaido’s economy of forestry, fishing, farming, and light industry pairs nicely with the Far East’s, and the insular capital of Sapporo would make a better sister city for Vladivostok than Hakodate presently is. Russia wants to achieve Japan’s know-how and encourage its capital investment in its decades-neglected Far Eastern region, while Japan wants access to Russia’s natural (forestry, fishing, etc.) and energy (oil, gas) resources. The most common interest between Moscow and Tokyo is to use this new form of neighborly cooperation as a starting point for expanding their ties to the level of full-on Russian-Japanese economic engagement between the Far East and the rest of the Home Islands, culminating in the future consecration of the Vladivostok-Yakutsk-Tiksi railroad to the Arctic (perhaps together with Chinese and South Korean investment as part of an historic quadrilateral peace project). The mutual beneficial exchange of Russian resources for Japanese investment will set the stage for a complex interdependence between the two states that might eventually give way to a strategic partnership, similar in effect to how the Russian-Turkish one has developed over time. Although Japan is a much closer American military ally than Turkey is nowadays, its leadership still understands the unnecessarily ridiculousness of provoking Russia and escalating regional hostilities in Northeast Asia, so it’s not likely to take the bait and fall for this ruse if the US ever attempts to entrap it in such a way. In a holistic sense, the only real obstacle to enhanced bilateral ties between Russia and Japan is the Kuril Islands dispute, so settling it must take precedence over all other aspects of the relationship in order that each side can begin benefiting as soon as possible. Japan sees the strategic utility in normalizing all aspects of its relationship with Russia so as to one day rely on Moscow as a neutral mediator in any future disputes with China. It’s impossible for the US to fulfill this role because of the American establishment’s inherent anti-Beijing bias, but with Russia being informally allied with China, it’s much easier for Moscow to effectively stage a diplomatic intervention in the event that both sides request it to do so a last-ditch effort before war. Taken a step further, Japan and China could also use Russia as a bridge for improving their own relations with one another, perhaps through trust-building exercises in the Far East such as cooperating on the same investment projects (e.g. the Vladivostok-Yakutsk-Tiksi railroad). Just like in the nightmare scenario of a seemingly imminent Japanese-Chinese military clash, it’s only Russia that realistically help bring Beijing and Tokyo together, though this can only happen if Russian-Japanese relations improve following the creative resolution of the Kuril Islands dispute through the Northern Islands Socio-Economic Condominium proposal. In assuaging any worries that Russian military strategists might have, none of the forecasted cooperation between Moscow and Tokyo would endanger the Sea of Okhotsk and Russia’s dutiful efforts to maintain its status as a ‘closed sea’. Russia would still exercise supreme military-political sovereignty over Sakhalin and the Kurils, just as Japan would for Hokkaido, and thus Moscow would continue to retain full hegemony over the Sea of Okhotsk and be able to safely position its second-strike nuclear-equipped submarines there. Russia doesn’t stand to lose anything by proposing the condominium idea, and it’s actually in its best interests to find a way to make itself closer to America’s chief Asian ally. If Russia can succeed in chipping away at American dominance over Japan, then it could upset the viability of Washington’s Pivot to Asia by complicating relations between the two countries and getting Tokyo to pragmatically realize that there’s a neighboring Eurasian multipolar alternative to the trans-Pacific unipolar vision being pushed by the US. Moscow and Hanoi have remained close partners ever since the days of the US War on Vietnam, after which the country gave the Soviet Union its largest overseas base in Cam Ranh Bay. This facility was closed in the early 2000s, but it didn’t alter the military-strategic relationship between the two sides, with Vietnam still allowing the Russian Aerospace Forces to use its bases for refueling during Asia-Pacific flyovers. Russia and Vietnam have recently sought to revitalize their relationship by returning to its formerly lost economic component, ergo the promulgation of a free trade agreement between them last year. While there’s a lot of work that needs to be done in order to turn this economic deal into a tangible benefit for both sides, it’s still a symbolic starting point for a new era of relations and importantly represents the Eurasian Union’s first-ever agreement outside of the post-Soviet space. This gives rise to very high expectations and underlines the closeness of Russian-Vietnamese relations, proving that Hanoi values its relationship with Moscow to such a point that it’s willing to risk the consternation of the US in response. The Russian-Vietnamese Strategic Partnership is being strengthened at precisely the same time as Hanoi is moving closer to Washington as part of the US’ Pivot to Asia plans to assemble a Chinese Containment Coalition. Because of Vietnam’s proxy importance to the US, Washington is in no position to enforce its demands that Hanoi cease military cooperation with Moscow, and the Vietnamese leadership is trying to balance between these two Great Powers in order to maximize its overall strategic advantage as a result. Hanoi doesn’t care about playing these two off against one another, but is instead seeking to gain whatever it can from each of them in order to buttress its capabilities in ‘containing China’. Even though economic relations between Vietnam and China are stronger than they’ve ever been, political-strategic are faring far worse, and this is entirely because of the South China Sea dispute that the US skillfully revived over the past five years or so. The Pentagon’s intent in doing so was to produce a planned hysterical response from China’s maritime neighbors that would reactively push them into Washington’s arms at precisely the moment that the US decided to shift most of its military to the Asia-Pacific in order to preemptively thwart China’s geopolitical rise. Vietnam’s role in this geostrategic construction is to act as a dual irritant in militantly pressing its maritime claims and backing them up with the possibility of a mainland ‘defensive’ operation in the event that China forcibly asserts its sovereignty. The Southeast Asian state and nominal communist ally is the only country that could force China into contemplating a diversified sea-land military response towards this issue, and this is why Vietnam occupies such an important position in the US’ grand strategic planning. For this reason, the US removed its prior restrictions on the export of lethal arms sales to its former foe in order to gain the opportunity for one day upsetting the strategic military balance that Russian arms have up until this point provided in keeping the peace between Vietnam and China. At the same time though, for as much as the US wants to drive a wedge between the two Asian countries (and it’s wildly succeeded in doing so over the past few years), it’s been comparatively less lucky when it comes to Vietnam and Russia, since as was written above, Hanoi is in the process of deepening its ties with Moscow, not restricting them. This makes for an interesting arrangement whereby Vietnam fulfills an irreplaceable role for both the US and Russia, albeit for two completely different reasons. The US, as was explained, hopes to weaponize the Vietnamese territory and economy against China (with the latter being one of the motivations behind including Hanoi in the anti-Chinese TPP), while Russia ironically wants to use these two elements to help China. It might be difficult to understand at first, but Moscow’s policy envisions Vietnam as the country’s Southeast Asian anchor that magnetically attracts more and more Russian influence into the region, though for this to happen, something more robust than simple (albeit highly strategic) military-technical cooperation must be commenced. This is why Russia decided to move forward with the Eurasian Union free trade agreement with Vietnam, hoping that it can lay the foundation for a much more diversified partnership that not only helps to develop the Far East, but also serves Vietnam handsomely by allowing it to gain inroads with China’s main ally. Just as Russia endeavors to use Vietnam to promote its grander Southeast Asian policy, so too does Vietnam want to capitalize off of its newfound relationship with Russia to help it in it gain influence with China. In order for any of this to happen, though, both sides need to take their ties to the next level, which again explains why opted for the historic free trade agreement. By itself, though, a free trade agreement between the Eurasian Union and Vietnam is useless unless something tangible comes out of it, and both Moscow and Vietnam must urgently take steps to annunciate their vision for an enhanced economic partnership. The most logical means in which this could happen is through the author’s previously suggested idea for an Asian Sea Arc, or in other words, a series of Sea Lines Of Communication between Vladivostok and a constellation of SEZs in ASEAN. Vietnam, naturally, should form the anchor for this policy, but in return and as a way of incentivizing Vietnamese investment in the Far East, Hanoi should be accorded with special economic privileges in the Far East. For starters, informational packages about the Vladivostok Free Port initiative must be translated into Vietnamese and the Russian Embassy in Hanoi needs to host promotional activities pertaining to the development opportunities available in the Russian Far East, such as connecting to the Northern Sea Route via any forthcoming Arctic railroad between Vladivostok and Tiksi. From these meetings, interested entrepreneurs can then be invited to Vladivostok to see for themselves what the “Window to the East” has to offer, but prior to all of this, the city needs to set aside specific warehouses and docks for the Vietnamese. This would show them that Russia is serious about courting Vietnamese investment and that the necessary infrastructure for facilitating their expanded trading relations is already there and waiting for them. All that they have to do is sign deals and get down to business. Some of the regional benefits that might entice the Vietnamese to set up shop in Vladivostok are the Far East’s forestry, mineral, and energy resources, all of which are in high demand in Southeast Asia. Not all of these are located in near proximity to the port town, however, so transportation investment deals need to be proposed and negotiated between Russia and Vietnam in order to aid with the latter’s access to these resources, which helps to develop this part of the country and circularly encourages more business. The details of these agreements would have to be discussed by the experts involved, but the aforementioned framework should be sufficient for getting the ball rolling and pointing all sides in the direction that’s needed in order to expand Vietnam’s economic involvement in Vladivostok. As for Vietnam, it wouldn’t have to do anything out of the ordinary in order to encourage Russian business because it’s already a vibrant and large market economy that’s inherently attractive to any entrepreneur. On a higher strategic plane, though, it could leverage its existing large-scale economic influence in neighboring Cambodia and Laos to assist Russian investors with diversifying their portfolios and gaining a foothold in these emerging markets. While it’s possible for the Russians to do this on their own outside of any assistance that the Vietnamese could provide, it would be markedly more difficult for them to try, and the ease of accessing these economies with Vietnamese support and relevant business intelligence could prove decisive in the long term. Again, these sorts of incentives on the Vietnamese side are not inherently necessary in order to court more Russian investment into the country and deepen the complex economic interdependency between them, but they could be proposed as leverage during the state-to-state negotiating process in acquiring Vietnamese economic privileges in Vladivostok. The more that Russia comes to depend on Vietnam as it rebalances its strategic focus towards ASEAN, the closer that the strategic partnership between the two will become, so it’s ultimately in Hanoi’s own self-interest to facilitate Moscow’s economic entrance to the rest of Indochina and to ensure that the resultant trade somehow or another directly or indirectly runs through Vietnamese companies or territory. 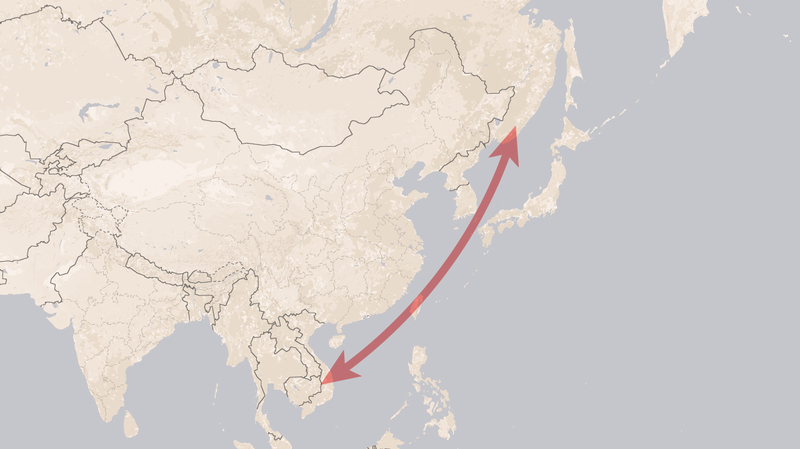 From the Russian angle, Vietnam’s help would save much-needed time and money in helping Moscow’s businessmen immediately get to work in carving out a strategic presence in these two underdeveloped but growing marketplaces, which in turn would bolster the real-sector viability of the “Pivot to Asia” by diversifying Russia’s economic engagement with the region. Russia and Vietnam need one another in order to sustain their respective grand strategies. Moscow is urgently rebalancing its focus towards the Asia-Pacific out of economic and political considerations, and Vietnam is a vital lynchpin in helping to achieve both. Its market size alone is enough to satisfy the desires of Vladivostok’s businessmen, and its political connections in the region could help to diversify these connections into a more robust policy. If Russia’s marine fleet can increase its presence in the South China Sea because of the burgeoning trade opportunities that it enjoys with the region, then this would by extent increase the importance of this geo-critical waterway for Moscow and de facto give Russia a real stake in its conflict resolution. At the moment, while Russia is perceived of as a neutral negotiator by most sides of this dispute, it doesn’t significantly have enough of a real interest in this problem as to make it the sort of diplomatic engine that needs to be in order to be effective. That would of course change if Russia’s Far Eastern economic development became dependent on trade routes running through the South China Sea, which would consequently raise Moscow’s reputation in the region and encourage the nearby states to seek out its negotiating influence with China. This isn’t at all to suggest that Russia would be swayed to go against China’s claims just because Moscow is becoming popular with the region’s capitals, but that the reverse could actually happen – the Russian-Chinese Strategic Partnership could flex its diplomatic muscle in having Moscow promote Beijing’s position throughout the region via its surrogacy. It’s in Russia’s self-interest to see its chief Asian ally securing the peace in the high seas, but if it came down to it, Moscow just wants peace to prevail in general no matter how it is ultimately arbitrated. Vietnam understands this quite well, and it knows that if it can continue moving closer to Russia by being its indispensable partner in accessing the greater ASEAN sphere, then it might be able to influence its decision makers into adopting less of an absolutist attitude than China has. Russia would never publicly come out against China and dispute its claims to the nine dash line, but it might request that its diplomats talk privately to their Chinese counterparts in discretely gauging whether or not there is or ever will be any flexible room for maneuverability on Beijing’s side. The Russian-Chinese Strategic Partnership is much too important to Moscow than to risk jeopardizing it over Vietnam, but the point to be expressed here is that Russia could eventually come to take a more active behind-the-scenes role in trying to hash out disagreements between all parties and functioning as the irreplaceable and fully trusted diplomatic middleman. This envisioned capacity would also be instrumental in the event that an unexpected or American-encouraged crisis emerges between China and Vietnam and the two sides draw to the brink of war. As a last-minute effort to deescalate hostilities, Russia might be invited by both sides to speak to the other and try to get them to pull back from what might by that time seem like an inevitable conflict. This is precisely the same thing that Russia could do vis-à-vis Japan in the previously examined scenario and will also be seen when discussing the next one with India, too. Russia’s position as the Eurasian peacemaker would fully contrast it with the US’ one as the supercontinental saboteur, and in a global flashpoint as delicate as the South China Sea, it could make the pivotal difference between whether a wider regional war erupts or not. There’s still a way to go before Russia can reach the level of diplomatic finesse in ASEAN that would enable it to prevent the type of war that the US is planning and partially displace it as the diplomatic heavyweight (such as what it’s done in the Mideast recently), but the first step in getting towards this grand multipolar vision is for Vietnam to open the region to Russia and guide it along all of its intricate contours, though of course in exchange for privileged economic benefits in the Far East that would also work out to both sides’ mutual interest. India had long been thought of as one of Russia’s most stalwart allies, but the relationship regrettably deteriorated in the 1990s as Moscow was pressed to focus on recovering from the post-Soviet economic collapse and maintaining its territorial integrity. New Delhi took this time to diversify its international partnerships and begin moving closer to the West, though by then only in the economic sense. Russia’s restoration as a Great Power under President Putin allowed Moscow to once more return to its Soviet-era allies and assist them in a mutually beneficial capacity, by which time the Multipolar World Order began to take shape under BRICS. Russia had still been selling weapons to India as a part of its delicate balancing strategy in keeping the peace between New Delhi and Beijing, but it finally took the belated opportunity to expand this strategic partnership into the economic sphere with discussions about nuclear reactors and India’s participation in the Eurasian Union trade format. Bilateral relations are closer than they ever have been since the end of the Cold War, yet disturbingly, so too are India’s ties with the US, which have been advanced at the obvious expense of China’s security. India switched its pro-Western economic policies for more balanced multipolar ones once it entered into the BRICS format, and it also committed to institutional multipolarity through its involvement in the New Development Bank and Currency Reserve Pool. However, the premiership of Narendra Modi saw India moving rapidly towards the US out of a presumably shared interest in ‘containing China’, a narrative trap that the US set for India and which Modi and his government were all too eager to fall into. The author explored the reasoning behind this in a series of earlier articles, including about the Chinese-Indian Cold War, whether India is an American ally, the threat that the latter would be to Russia and China, and an overview of how India relates to multipolarity in general. The three-part article series (Part I, Part II, and Part III) by Indian political analyst and journalist Prem Shankar Jha is also very useful in understanding the background behind India’s grand strategic shift. As India sheds its geopolitical commitment to multipolarity and recklessly risks undermining its constructive contribution to the economic and institutional manifestations of this global vision, there has never been a more critical time for Russia to apply its diplomatic balancing act in delaying or hopefully outright reversing India’s unipolar pivot. Geostrategically speaking and without any hint of hyperbole in the following statement, India is the most dangerous country in the world today because of the system-shattering change that it’s poised to produce if it continues along its pro-American trajectory. India is on the verge of an all-out strategic pivot that’s even more globally and historically profound than China’s realignment towards the US in the mid-Cold War period. If the Modi administration doesn’t slow down and change course, then it’s inevitable that the simmering hostilities that the US has produced between India and China will spill over into actual conflict, however large-scale or low-scale it may be, and which will then destroy the hard-earned trust that both sides had previously worked so long to achieve in the name of the common multipolar good. As it stands, India’s most significant provocations just this year alone include hosting anti-Chinese terrorists, reviving 24-39 World War II-era airfields along the disputed Arunachal Pradesh/South Tibet frontier, ordering that supersonic cruise missiles be sent to that said line of contact, and deploying 100 tanks to Ladakh within near proximity of Chinese-administered Aksai Chin. If any of these tangible on-the-ground escalations leads to a clash, then it would fulfill one of the US’ prime strategic objectives of engineering an insurmountable political-military obstacle to Chinese-Indian cooperation and offsetting the bilateral relationship for at least a generation. Judging by its surprising and historically uncharacteristic behavior of essentially abandoning its traditional policy of non-alignment and throwing its weight so confidently in the US’ corner, India’s “deep state” (permanent military-intelligence-diplomatic bureaucracy) under Prime Minister Modi seems to have convincingly made up its mind about the direction in which it wants to take its Chinese relations, though it thankfully has the mirror opposite approach when it comes to its Russian ones. Instead of joining forces with the US to ‘contain’ Russia like it’s trying to do against China, New Delhi is actually in favor of expanding every facet of its partnership with Moscow, which is curious considering the fact that the Russian-Chinese Strategic Partnership is the most solid center of gravity in the emerging Multipolar World Order. The only thing that can explain India’s seemingly schizophrenic and visibly contradictory approach to the world’s most active multipolar cores is that it thinks that its relations with one are completely delinked from the other. India either naively assumes that its anti-Chinese hostility will have no effect on its relations with Russia, or some of its “deep state” representatives cynically harbor distant ambitions of turning Russia against China and having Moscow replace Beijing with New Delhi. At this point, it’s unknown exactly what the driving force is behind India’s remarkably positive ties with Russia considering how poorly it’s treating Moscow’s ally China right now, but the fact is that New Delhi’s behavior advantageously works out to Russia’s grand strategic benefit. India is indisputably working very hard to improve its relations with Russia and bring them to an historically unprecedented level similar in effect to the state of the Russian-Chinese Strategic Partnership today. If carried out to their logical end, then this would give Moscow the globally unparalleled position to simultaneously manage Chinese-Indian relations with a degree of equal trust between both partners, something that is absolutely priceless the closer that India crawls towards provoking an American-encouraged clash with China. India might not even be aware that its moves towards Russia have the potential of giving its partner such global strategic importance, and might instead only be concentrating on the economic-military components of this relationship as manifested by the North-South Corridor and Moscow’s traditional arms shipments to New Delhi. To reiterate once more, it is totally unclear what the Indian leadership wants and why it’s behaving the way that it is, but despite its unexplainable nature, it’s inarguable that it would fundamentally work out to Russia’s supreme advantage if Moscow could leverage this new reality to counter Washington’s rising influence in India and safeguard the cold peace between New Delhi and Beijing. The most noteworthy manner in which Russia and India are advancing their strategic partnership is through the North-South Corridor, the multimodal transport network from the southeast Iranian port of Chabahar to the EU via Azerbaijan and Russia. The Russian, Azeri, and Iranian Presidents just had a meeting in Baku in which they finalized their plans for constructing this corridor. Moscow and Tehran are very interested in profitable win-win cooperation with their Great Power counterparts in New Delhi, no matter what India’s intentions might be in launching this project. 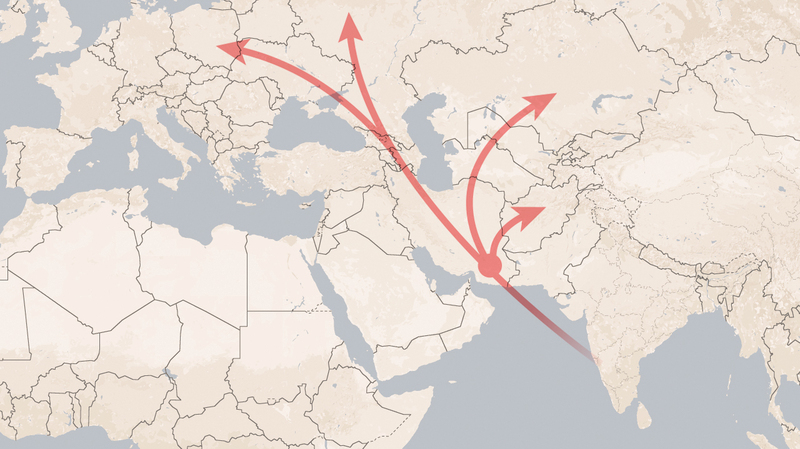 More than likely, it appears as though India wants to use this “Cotton Route” as a means of competing with China’s New Silk Road to Europe, but there also exists the possibility that its leadership hopes that the long-term economic benefits of this far-reaching project could eventually work to sway both Russia and Iran away from China and towards India. That will probably never happen since Russia and Iran are closer to one another than either of them is to India (especially since Moscow and Tehran’s shared sacrifices in the Syrian battlespace), and both are by all means and indicators much more connected to Beijing than to New Delhi. No amount of Indian economic enticement will ever change this so long as the US does not succeed in overthrowing either of these two states’ existing leaderships and/or replacing their “deep state” representatives with unipolar sixth column operatives. India is more than likely counting on its forthcoming real-sector economic engagement with Russia to be profitable enough that Moscow ignores New Delhi’s US-supported aggression against Beijing and doesn’t cave in to any future Chinese demands that it distance itself from Washington’s newest ally in Asia. Simply put, the complex strategic-economic interdependence that would be created by having Russia host an integral part of India’s cross-continental corridor would make it impossible for Moscow to ever fully turn its back on New Delhi no matter what the latter does in the future, which is precisely what Indian strategists are planning. Russia, for its part, aims to become an irreplaceable facilitator for the EU’s mainland trade routes to Asia, which by extent would heighten Moscow’s importance to the bloc and mitigate the future potential that the US could ever pressure it to “isolate” Russia again with sanctions. The bigger picture is indeed beneficial to both Russia and India, and there’s no reason at all for Moscow to ever step back from this historic opportunity to fit itself into the supply chain and logistical network’s emerging between Western Europe, the Mideast, and South Asia, but having said that, precisely because this is so important to India (which doesn’t have any other options in this case like Russia does with China’s New Silk Road), Moscow is in an envious position to push a hard bargain with New Delhi and gain even more than it ever thought possible. As it stands, India is depending on Russia to always behave in a ‘traditional’ and ‘predictable’ manner, but with India breaking that mold first through its unexpected anti-Chinese strategic partnership with the US, Russia should have no qualms about not reacting according to India’s expectations either. Nothing that Russia does should impede the ease of doing business with India, but it doesn’t mean that Moscow shouldn’t at the very least try to press a hard behind-the-scenes economic bargain with New Delhi. Right now all of the economic dividends that Russia stands to gain from the North-South Corridor are concentrated within its own territory, but in order to truly gain more tangible influence within India as a means of countering the US’, Moscow must do everything in its power to make sure that progress on this project is tied in with increasing Russian investments inside of India itself. For example, there is no reason why Russian companies shouldn’t modernize India’s largely decrepit national infrastructure, ranging from shoddy electricity networks to derelict highways and ports. Not only would it be a windfall of profits for Russia to do so, but it would finally give Moscow the physical means of tangibly getting something out of the North-South Corridor besides the vague promise of having its goods compete with everybody else’s in the Indian marketplace. The Russian government needs to ask for more than just infrastructure modernization contracts and raise the strategic stakes by lobbying to partner up with Indian firms in helping New Delhi construct, maintain, and expand the Trilateral Highway through Myanmar and Thailand. It would eventually make the most commercial sense for a railroad to one day run parallel to this route, and it’s in Moscow’s grand strategic interests to make sure that Russian Railways constructs it. While Moscow’s involvement on this and other new trade-facilitating projects might seem like unattainable contracts for Russia to ever earn, the fact is that India demonstrably needs Russia’s cooperation on the North-South Corridor and its ‘neutral’ position towards the Chinese-Indian Cold War so bad that it might correspondingly be more than willing to cough up a few extra contracts to Moscow in order to receive it. It can’t be underscored enough, but Russia absolutely must stop at nothing to strategically intervene between India and the West and prevent New Delhi from getting so out of control that it recklessly falls for the US’ tricks and starts a war with China. The only thing that could even somewhat prevent this from happening is for Russia to invest as much as possible inside of India itself (both in physical and strategic terms) so that it could regain some of the influence that it lost to the US and enter into a position where it could more effectively shape the views of the Indian leadership. If all goes according to plan and India doesn’t have any cynical or ulterior motives at play (whether organically motivated or inspired by the US), then the Russian-Indian Strategic Partnership could become one of the hallmarks of Eurasia’s 21st-century geopolitics. Indian-EU trade conducted via the Russian land route would dovetail perfectly with its Chinese-EU counterpart, thus making Russia absolutely indispensable to cross-continental trade and allowing Moscow to finally fulfill its historical destiny of linking the supercontinent together. On the other hand, this rosy future isn’t guaranteed, since India has the potential to massively upset the status quo in Central Asia by redirecting some of its North-South Corridor cargo into the region to satisfy its newfound commercial commitments to the Ashgabat Agreement. This could inadvertently have the effect of sparking a strategic dilemma with China, which might rightly see this move as an economic counter to its own inroads there over the past two decades. The resultant competition between the two that would emerge from this could very easily shatter the equilibrium in the region and lead to unforeseen and possibly chaotic consequences, all of which would directly impact on Russia’s own economic and physical security as well. Nevertheless, this dire scenario isn’t guaranteed either, and the most reliable safeguard that Russia has to keeping India in line and acting in accordance with the multipolar principle of win-win cooperation undirected against any third party is to strategically intervene as much as possible in carving out an influential foothold inside the country itself. This can only be actualized if Russia is able to leverage its position relative to India and successfully negotiate a wide array of economic partnerships with New Delhi alongside its North-South Corridor and Eurasian Economic Union talks. Simply having access to the Indian marketplace isn’t enough for Russia to wield any considerable influence over the Indian establishment, and while Russia currently occupies the greatest role in supplying India’s military-technical needs, it’s been rivaled in recent years by the US and Israel – not necessarily so much in quantitative terms, but in qualitative ones that could risk upsetting the delicate balance that Soviet/Russian arms have hitherto maintained between India and China. Instead of letting India trail off and fall under the full spectrum domain of the unipolar world, Russia needs to double down on its commitment to the country and continue selling state-of-the-art arms that satisfy India’s demands and keep Moscow’s Western competitors at bay, though of course exercising discretion in not giving New Delhi a carte blanche to purchase all sorts of stability-disrupting weaponry that could counterintuitively work against Russia’s grand strategic interests in Eurasia by inadvertently ‘containing’ China. To continue emphasizing the primary point of this section, military-technical cooperation is no longer sufficient enough to keep India in alignment with Russia’s greater multipolar goals for the supercontinent, but the forecasted economic cooperation via the North-South Corridor by itself isn’t adequate either. This is why Russia must press as hard as it can behind the scenes to get India to award it as many strategic infrastructure contracts as possible so as to deepen Moscow’s physical influence within the country. Ideally, Russian companies should be involved in modernizing India’s electrical grid, railroads, highways, and ports, and they should also have a stake in India’s regional transnational connective infrastructure projects such as the Trilateral Highway and others. India’s civilizational soft power is centuries-established and presently strong enough to give Russia a boost in its quest to rebalance its strategic focus towards ASEAN, and there’s no reason why New Delhi can’t help Moscow with this in exchange as part of a broadened framework involving the North-South Corridor and the wider Russian-Indian Strategic Partnership that it augments. If Russia plays its cards right and is diplomatically skillful enough to get India to agree to these related measures, then Moscow will have pulled off a masterful strategic intervention in inserting itself deep into India’s inner workings and counterbalancing the corrosive influence that Washington has been exerting on New Delhi, to say nothing of the added regional benefits that it could gain in ASEAN. As a result of this masterstroke, Russia might then have some hope of regaining the upper hand over the US and convincing India to deescalate its campaign of aggression against China and return to the multipolar fold. Russia’s diplomatic balancing act in Asia involves three completely separate states that are united in their contemporary opposition to China, an antagonism which is increasingly taking on a multilateral form through joint cooperation in the South China Sea. Japan, Vietnam, and India are all aligned with the US to varying degrees, and while the latter two don’t have any institutionalized military-strategic relationship like Japan does, it’s unmistakable that they’ve been rapidly moving closer to cinching one in their own way. What’s considerably ironic, though, is that while these three states are all involved in the US’ Chinese Containment Coalition, they’re also interested in positively developing their relations with Russia. Part of the reason for this might be attributable to the multipolar principle of diversification taking hold in the minds of all three of their leaderships, in that Tokyo, Hanoi, and New Delhi – no matter what their current geopolitical (not necessarily institutional and economic) dispositions currently are (which is unipolar or unipolar-leaning) – understand the importance of balancing their relations with the US, whether to achieve future bargaining leverage like Japan might be planning or out of a sincere desire for retaining historical bonds like Vietnam and possibly even India are motivated by. Japan, Vietnam, and India are also reaching out to Russia because they believe that this will somehow help them in their disputes with China. None of them are naïve enough to think that Moscow would ever turn against Beijing and start aggressively lobbying for their interests, but they do hold out the possibility that they could influence Russia to the point where it at least develops a greater degree of self-interest and involvement in their respective disputes. Their individual expectations are that the commencement of more profitable and strategic win-win relationships with Russia might in turn spur the Kremlin to actively engage in back-door diplomacy with China in order to resolve these issues. It needs to be unequivocally emphasized at this point that Russia has no replacement for the global importance that China provides for its grand strategic planning, and that Moscow would never create a conflict with Beijing on behalf of any of China’s neighbors, no matter how close their relations come to be with Russia. All that is being expressed here is that Japan, Vietnam, and India’s efforts to strengthen their ties with Russia are motivated by a desire – whether realistic or fantasized, legitimate or unethical – to have Moscow neutrally and discretely intercede on their behalf in helping to resolve their American-provoked problems with China. Russia is aware of these countries’ intentions but also doesn’t want to pass up what are historic opportunities to reach a new degree of partnership with these states, keeping an eye on the long game and knowing that it will come in handy sometime in the future. For example, with all three countries having serious disputes with China that might even spill over into violence one day, Russia’s future envisioned role as a trusted mediator between all parties would be priceless and globally unparalleled, and it might end up being the only actor that could feasibly deescalate tensions between China and its neighbors in the event of a serious crisis. It already helps to balance the state of affairs between China & India and China & Vietnam through its robust arms shipments to all sides, though due to the US’ progressive advances in slowly but steadily entering each of these markets, the military-strategic balance between these countries and China can no longer be taken for granted as being guaranteed by Russian arms alone. This is why Russia must urgently enter into a state of complex economic interdependency with both of them in order to maintain its strategic leverage amongst their leaderships and hopefully override the intrusive influence that the US has recently exercised over them out of the ‘shared’ (and manipulatively exaggerated) security dilemma that they fell for about the need to ‘contain’ China. 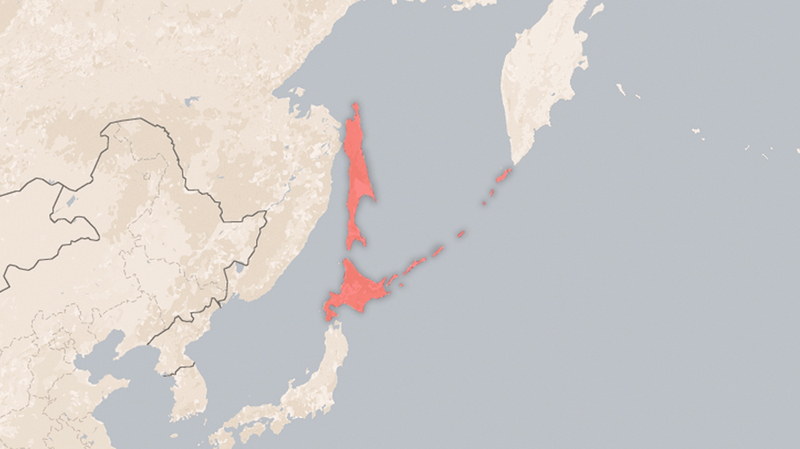 The situation is structurally different with Japan because of Tokyo’s lack of historical strategic ties with Moscow, but the same principle of Russia’s balancing act and gradual influence advancement still applies to it as well, albeit in a completely different functional manner that must be preceded by an agreement on the Northern Islands Socio-Economic Condominium. In concluding this analytical review, regardless of the success of any of these three interlinked outreach initiatives, it’s plain to see that Russia has finally become a major balancing power in the Eurasian Rimland. It previously enjoyed very warm relations with India and Vietnam during the Cold War, but the different nature of the international system at the time meant that these ties weren’t predicated on Great Power balancing but on the superpowers’ ideological struggle, which is a qualitatively different (although somewhat structurally similar) strategy. There’s no going back to the past era, though the relationships from that time period can and are being tapped into to advance each parties’ agenda, which is nowadays clothed with the language of ‘win-win’ benefits but ultimately all about contradictory positions relative to China. The greatest balancing act of the 21st century is therefore for Russia to satisfy its Rimland partners’ newfound interests in it while simultaneously capitalizing off of these desires in order to position itself in such a way that it can sustainably maintain the peace between them and China and indefinitely keep the US’ divide-and-rule schemes at bay. At today's SCO meeting at the summit in Tashkent, India and Pakistan should be officially accepted into the organization.